Two coats of NAILS INC. Acai Bowl in Oxford Terrace. Red Creme. Y'all know that red is so not my thing when it comes to nail colors, but I'm actually digging this one. Oxford Terrace has a brighter undertone than your typical classic red, making it read more summer apropos than fall. It has a fiery feel that would instantly make a splash on the beach; while sticking true to its berry-inspired roots. 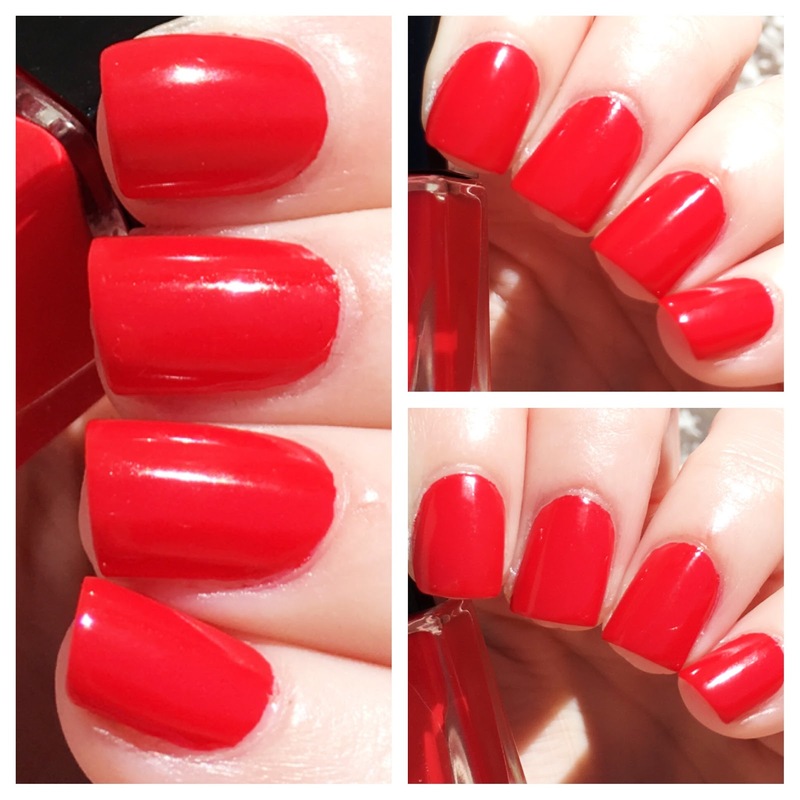 This is probably the easiest red I have ever worked with - applying beautifully from swipe one due to the creamy formula, and wide, flat brush that evenly coats every nail with minimal effort. Incredible. Off to buy it. Beautiful bright red! Great review! Awesome! I've got Pink & Proper by Maybelline's Color Show. What a beautiful, rich color! This is a very summery-y red! I Like it.